Interior and exterior work forms the backbone of The Finishing Company's expertise. We pride ourselves on the "finish" to the projects we do. We have trade qualified painters and certified plasterers, gib stoppers and wallpaper decorators. In addition to private and commercial work exterior work, The Finishing Company also provide insurance quotations for all major insurance companies. Shane is The Finishing Company's lacquering man, with years of experience. From large joinery to one-off furniture items, Shane delivers a professional application in a variety of finishes. We have trade qualified painters and certified plasterers, gib stoppers and wallpaper decorators. Specialist Applications are an important aspect of The Finishing Company's range of services. 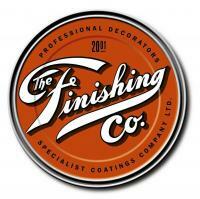 We specialise in commercial projects, interior and exterior painting, and more. Contact us on 307 8870 for more information.